Indeterminate. 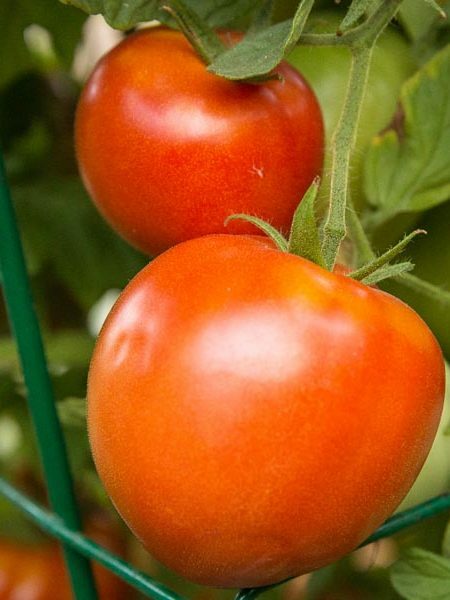 This new class of elongated cherry tomatoes is sure to create excitement with its extraordinary beauty and superb flavor. 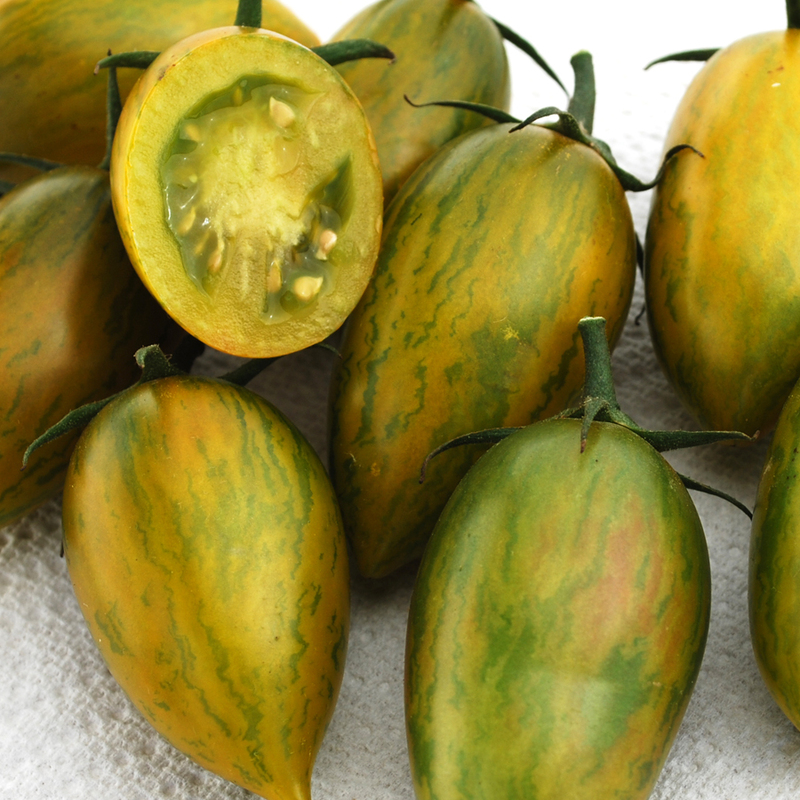 Fruits are striped with yellow and green and have a green interior. 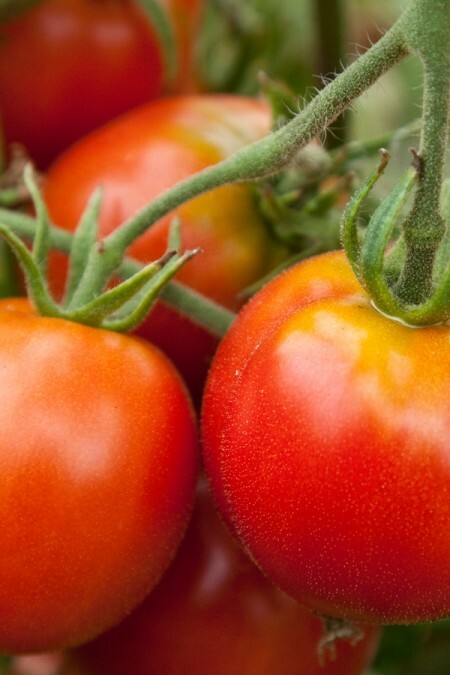 Chefs find the 2″ long fruits extremely versatile in the kitchen. 70 days from transplant. 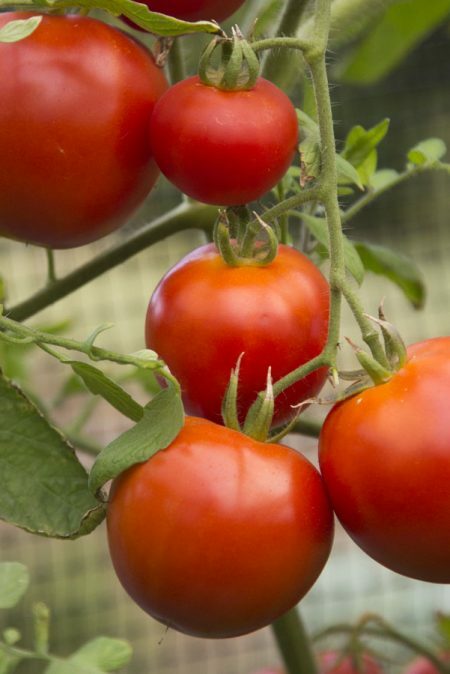 Be the first to review “Tomato ‘Green Tiger’ Grafted Mighty ’Mato” Click here to cancel reply.